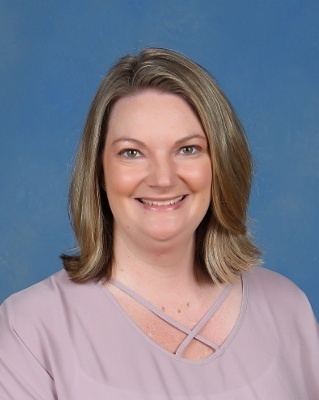 It's time again to nominate the Teacher of the Year for 2020. Follow the link here. 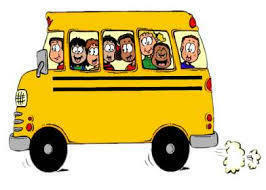 Please remember there is no school on Wednesday, October 10th because we are having parent teacher conferences. We look forward to full participation from all our families and we hope you find this to be an enjoyable time as we work together for your child. 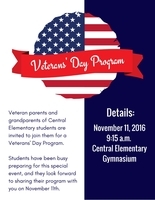 Central Elementary family members who are Veteran's and First Responders are invited to take part in an annual event as students and staff thank them for their service! 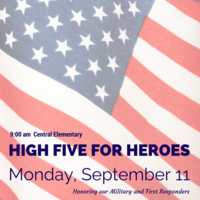 Honored guests join us at 8:45 a.m. in the cafeteria. 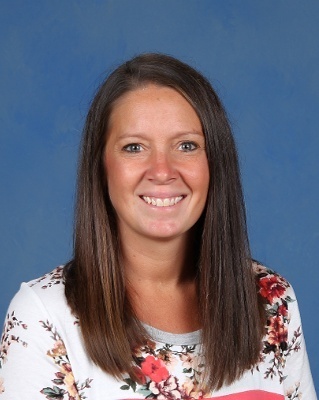 High Five for Heroes begins at 9:00 a.m.
Central Elementary is proud to announce that Courtney Carmichael was chosen as Central's Teacher of the Year! 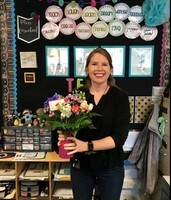 Congratulations Courtney and thank you for all that you do here at Central. The Student Council would like to sponsor a holiday ugly sweater day on Tuesday, December 19th. 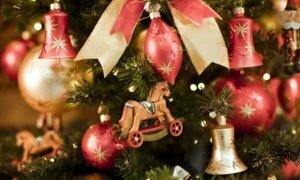 We would love for anyone who can show their holiday spirit and participate. 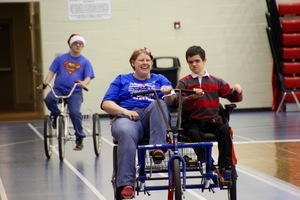 Please bring $1 to your teacher to join in on the fun! A portion of the proceeds raised will go towards the Hungry Jack Fund as well as to support students' needs at Central. Mosier and Schwettman Employees of the Week! Bullington and Dickey Employees of the Week! Our K-Kids are at it Again! 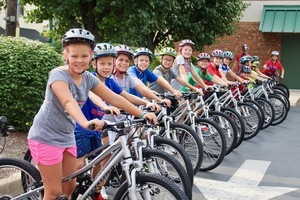 Please support these students in their efforts if you are able to this year! Thank you! Central students put on a Veterans Day program that many of us won't forget! Every grade participated in the moving tribute to those who have served our country, past and present. Here are a few pictures of the event. A special shout out to our music teacher, Mrs. Allen and our art teacher, Ms. Loudermilk for lending their creative talents to this show! Crum and Fekete Employees of the Week! Riester and Western Employees of the Week! Siepman and Smith Employees of the Week! 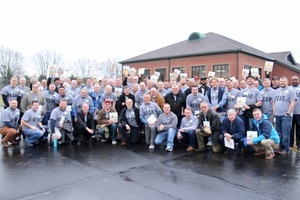 October Issue of Central Hub! The Central Hub for October 2017 is available now. Click HERE to read! 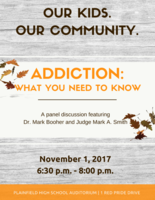 Make plans to attend this important discussion! Allen and Pettet Employees of the Week! Harris and Ortega Employees of the Week! Maple, Zummach Employees of the Week! 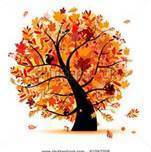 September 2017 PTO Newsletter...Check it out! 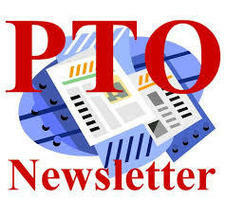 Read the September issue of the PTO Newsletter HERE. Basketball Skill Clinics Coming Up! Central Students are excited today about the NED Show, an all-school assembly. 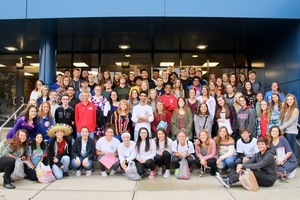 NED reinforces our school-wide character education program (be a Central CHAMP) with a unique focus on anti-bullying education. 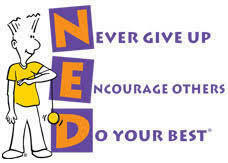 It centers around NED, a loveable cartoon character whose name is an acronym for Never give up, Encourage others, and Do your best. 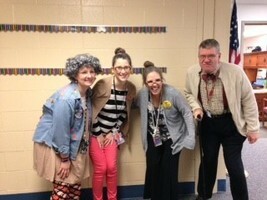 Ask your student about NED! 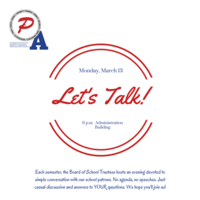 Attend this forum to learn more about PCSC! If your kids are interested in a fun soccer experience, click HERE for details! 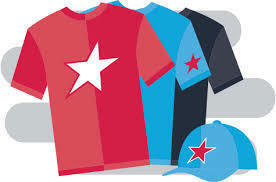 Our PTO has made it possible to order Spirit Wear online! 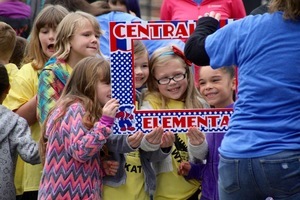 Click HERE and THANK YOU for supporting Central Elementary! Click HERE for the August issue. 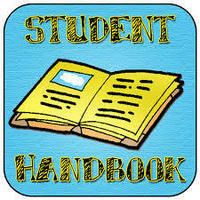 It's full of need to know information! C-E-N-T-R-A-L! Get Your Spirit Wear! Spirit wear for the whole family! 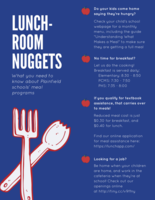 Click HERE for the order form and get the form and money to your child's teacher by August 25! If you would like to order online, click HERE. These make GREAT Christmas gifts for the whole family! 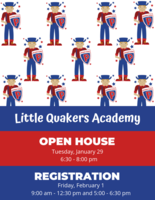 Show your Quaker Pride! Field Day Moved Inside -- The Show Goes On! 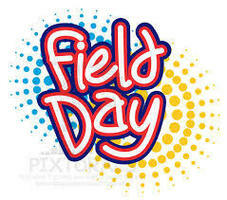 Due to the downpour before the start of school today, the muddy and wet conditions on the field and playground, we have moved Field Day into the gym. The students are having a ball! Here are 5th graders having fun with the inflatables! THANK YOU to all of our parent volunteers for their willingness to help today, we will try again next year! When: 5/22/17 Time: 6:00 p.m. Click HERE for more info! 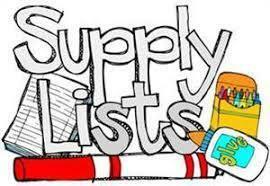 Click HERE for a complete list of supplies needed for each grade for the 2017-2018 school year! 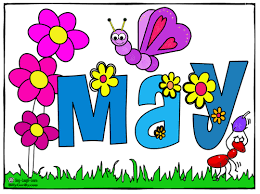 Catch up on all the important end-of-year information in the May Edition of the Central Hub. ALMOST to Our Goal...Can you Help?! Please Help!! 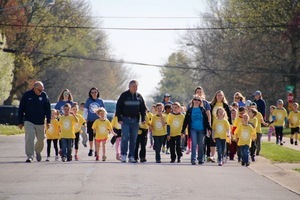 !Central is $600 short of our $10,000 goal for Walk-A-Thon this Friday! If you or someone you know would like to make a last minute donation, we could still reach our goal!We will accept donations up until Friday!! 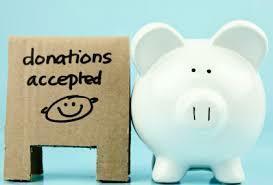 Please note: Due to time constraints, donations received after Wednesday will not be eligible for prizes. 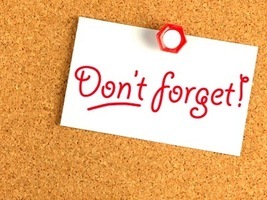 Returning Students Need to Update Info on PowerSchool! 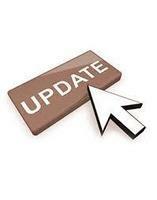 It is time to update/verify your returning students info on PowerSchool. If you had not already created a PowerSchool account, we reached out to you via letter recently. Otherwise log into the Parent Portal with your username and password and follow the directions...thank you! Click HERE. Help Us Honor Mr. 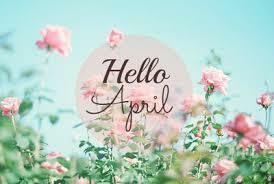 Lease on May 16th! Please send all well wishes by 5/15/17! 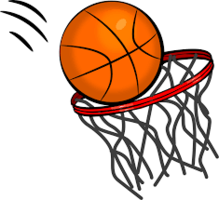 5th Grade Parents: Athletic Physicals Coming Soon! If your son or daughter plans to play a sport in middle school next year, take advantage of this great opportunity provided by Hendricks Regional Health and PHS! 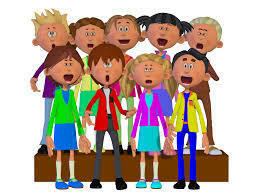 Attention Parents: The 5th Grade Music Program has been rescheduled for Monday, May 8, 2017 at 7:00 p.m. in the Central Elementary Gymnasium. Attention Parents of Central 5th Graders! 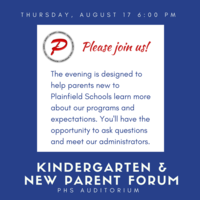 Mr. Cooney, Plainfield Community Middle School principal, will host an informational meeting for current 5th grade parents to introduce them to what they can expect while their child is at PCMS. 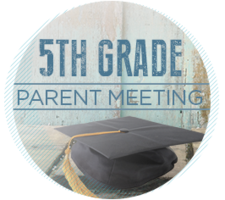 The meeting will be at the PCMS Auditorium on May 4th at 6:00 p.m. 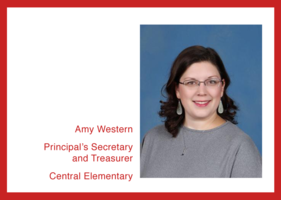 Check out the April edition of Central Hub to stay up to date on the spring happenings at Central Elementary! Click HERE to read! 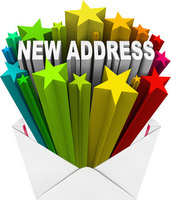 Stay up to date with information and updates from Central Elementary. Click HERE for the March 2017 edition! 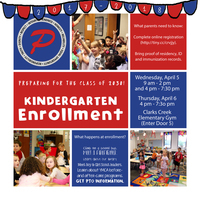 Kindergarten Enrollment April 5th and 6th! It's that time of year! If you have a little one heading into Kindergarten, you will want to note this information, website and dates! 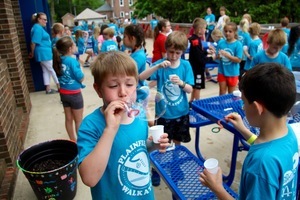 Click HERE for the latest from Central Elementary's AWESOME PTO! 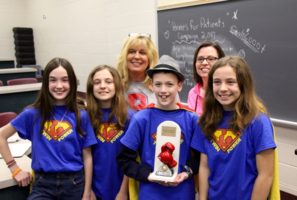 Central Wins Battle of Books 2017! Check out the latest issue of Central Hub for February 2017. This is Central's parent newsletter! Click HERE to read! Health and Wellness Fair! All are Welcome! 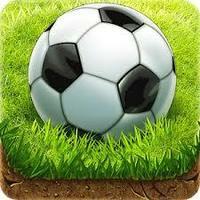 Plainfield Optimist Soccer Registration Now Open! Registration for Plainfield Optimist Soccer spring season is now open. Players ages 4-19 are encouraged to sign up at www.plainfieldoptimistclub.com/soccer. Registration will close at the end of February, but some divisions will fill up. Players are encouraged to sign up early to secure a roster spot. Additional information is available on the website. 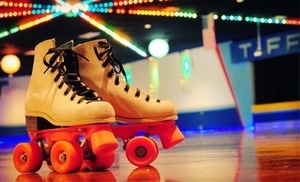 Don't Miss the Family Fun Skate this Friday night from 5:30 to 7:30 p.m. at Hot Skates in Avon. See this Flyer for Details and coupons! Join us!! Students at Central marked their 100th day of the school year this week with fun activities, games and decorated clothing! Keep up the GREAT work Central readers! 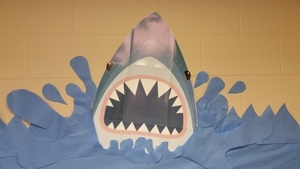 The Read-a-thon is in FULL SWIM and our shark is encouraging you to READ, READ, READ!! 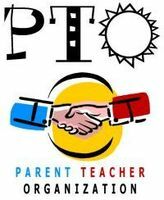 PTO Read-a-Thon Begins January 15! Click HERE to see how Central wrapped up 2016 and what's in store for early 2017! Important information for Central families! Santa has a new crew of elves this Christmas...they are at Central Elementary! 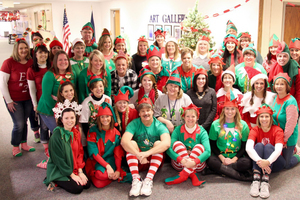 Wednesday, December 21 was Elf Day for teachers and staff. Everyone got into the spirit for the fun occasion! 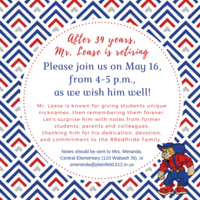 Click HERE to read the latest news from Central Elementary! 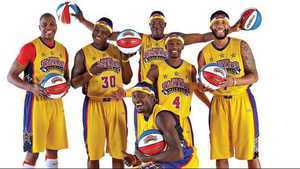 Harlem Wizards Are Coming to Town! December 5! S-P-I-R-I-T W-E-A-R! Last Call for This Year! Don't miss out on getting your Central spirit wear! Show Your Central Pride! The deadline is Wednesday, November 23rd!! Click HERE for the order form. Get Ready for Donuts with Dad! Thursday, 11/17 and Friday, 11/18, 7:50 a.m. to 8:25 a.m.. Attendance is based on the first letter of your last name. Click HERE for details, times and dates! 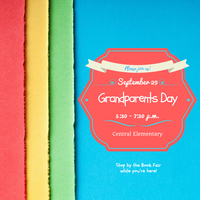 Click HERE for the latest from Central Elementary! Central to Honor our Veterans! 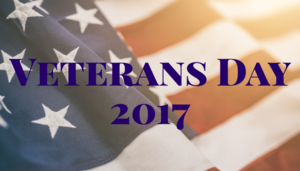 If you know a veteran who would like to participate, please let us know! Thank you! 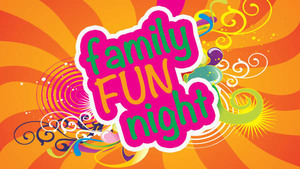 Family Fun Night Ticket Pre-Order Form! Family Fun Night is right around the corner -- Friday, November 4th from 5 to 8 p.m. Click HERE to find the flyer for the event which contains an order form for pre-order tickets. Shrek the Musical Coming to PHS November 18 and 19! Lots of Central Elementary students are in the cast of Shrek and we can't wait to see them perform! Elementary Wrestling Camp Sign Ups Soon! 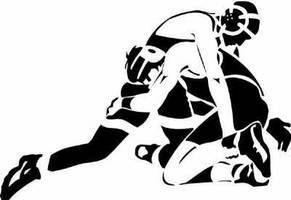 Click HERE for more information about Plainfield Wrestling Camp! 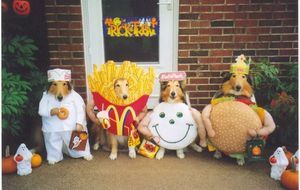 Trick or Treating Fun for All! 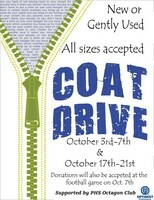 Last week for Coat Drive! No School, Thursday, October 20th! Family fun at the Plainfield Rec Center. Kids of all ages will enjoy Halloween themed activities, candy, bounce house, hayrides and much more! Don't miss it! Click HERE for details! Plainfield Parks & Rec Present a FUN activity for the whole family...especially the furry ones!Howl a Ween Event at the Bark Park! 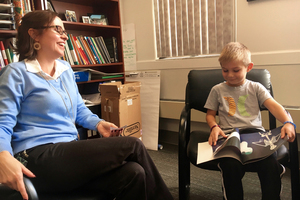 Click HERE to read the latest Central Hub Newsletter for parents and families of Central students! 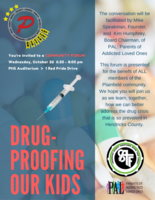 Parents, family members or anyone who is concerned about the drug problem among today's youth are encouraged to attend this crucial Community Forum. This problem affects all of us and we need to work together to find an answer. 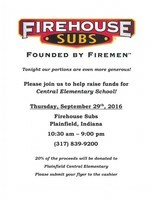 Firehouse Subs and Central Elementary Fundraiser - Sept. 29 - ALL Day! Our students LOVE showing off our building and their classrooms to their grandparents! Join us for this special event and stop by the Book Fair while you're here! 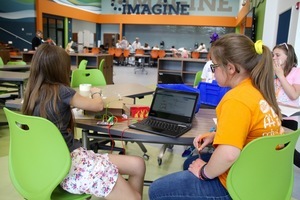 Check out the latest news from the Central Hub! Click HERE! 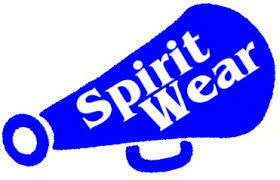 Click HERE to see the Central Elementary Spirit Wear flyer sponsored by our PTO. Orders are due on Sept. 6, 2016 and can be given to your child's teacher. 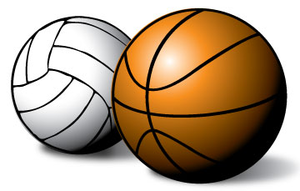 Go to this folder for flyers about tryouts/opportunities for volleyball and basketball teams and leagues. 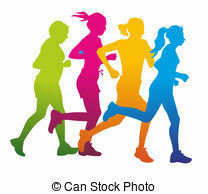 Does your child love to run? 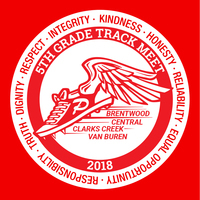 The Central Running Club is open to 3rd, 4th and 5th graders and starts September 6th. Click here to learn more! 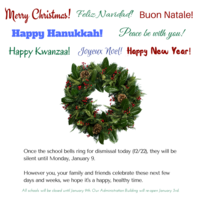 The Central Hub is a monthly newsletter for parents of Central Elementary students. 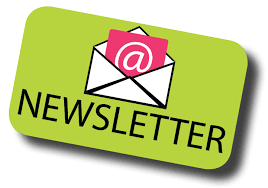 Through this newsletter we will keep you up to date on activities and important information you need to know. 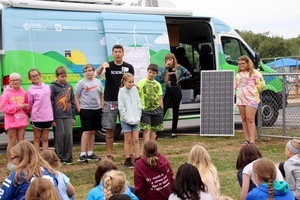 Click here to read the August edition of The Central Hub!